It's almost here! We've spent the last couple of months preparing for or thinking about the festivities and all of a sudden, it is but a week away! As the school term ends and the Christmas prep becomes a frenzy, we find ourselves in need of entertainment for the younger members of the family. Why not take a break and spend a couple of hours as a family creating some handmade decorations that are easy to make and a fun yet sophisticated addition to the Christmas decor? These paper pom poms were made with napkins instead of commonly used tissue paper. These napkins are part of the Sainsburys Christmas range. Grab an extra packet to make a lovely centrepiece for your table or some festive bunting that fits perfectly with your colour scheme. The time of year is upon us when people are dropping like flies with various coughs and colds. My two little ones are no exception. Whilst they are cosied up, dosed up with paracetamol, teething gel and vapour rub and napping, I am taking this opportunity to break from the never ending piles of washing and housework, have a cup of tea and a piece of cake and update the blog for you lovely lot. Apparently Christmas does come earlier when you have children. I was always a big fan of NOT getting into the spirit in September and waiting for the appropriate time. This year I spent everyday of November talking to the biggest Baby B all about Christmas and what it means for us as a family. He's two this year so he understands a bit more. I knew I was harbouring a festive spirit, eager to get out and I waited in anticipation for the right time to let it all out. The right time was November 30th, when 10 very Crafty B's came together, had tea and mince pies and crafted their hearts out with festive music from Michael Buble and Frank Sinatra filling the air. 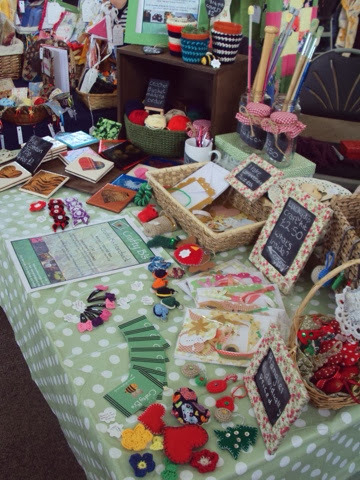 Those that came to the launch of the next Crafty B's group, came either with ideas of things they would like to make or an eagerness to be inspired and just go with the flow. The results were wonderful and the taster session led to some very happy B's leaving at the end with some lovely handmade things to add to their Christmas. 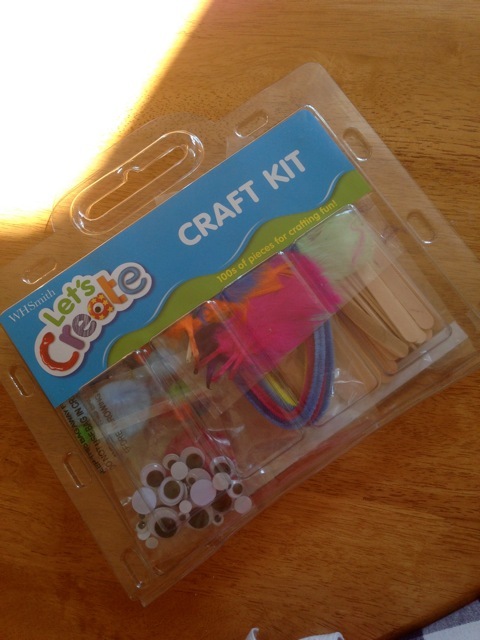 Some even picked up a Lucky Dip Craft Kit to create some lovely things with or give as a gift. Each person was given a tile, a magnet and a card and envelope and with all the crafting supplies available they were able to be creative in their own ways. 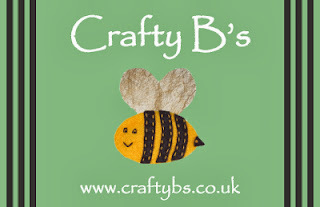 Inspiration for their makes came from imagination, creative flair and inspiration from books, magazines, other people and some handcrafted items that were pre made for everyone to nosy at. Armed with their glues, papers, felts, fabrics, needles, threads, a die cutting machine and many other tools at their disposal, they got to crafting. Here are a few pictures. This group served as a taster session of what is to come in the new year and Crafty B's will be holding several Saturday meets at Bourn Golf and Leisure, Bourn, Cambridgeshire throughout 2014. They will run in a similar way to the Christmas Crafting but details will be sent out for each meet as it happens. 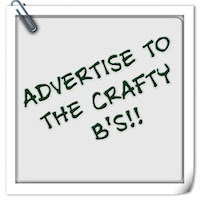 If you are not already receiving updates from Crafty B's and would like to be informed of upcoming events, please email mrscraftyb@gmail.com. Saturday's craft group also served as an outlet for my festive spirit and there was not reigning it back in. On Sunday, the advent calendar I made last year was hung, the tree came out and the films and music were played and sung. Happy December one and all. Well, I've never seen anything quite like this. Some baby based crafting up next with Hayley. Always tea! With a big splash of milk and no sugar. I'm one of those people who believe that any problem can be made a bit better by putting the kettle on! It can Hayley, it can. So what do we have with it in your opinion, biscuit or cake? That's a hard one... Anything that contains chocolate is a winner for me! Tell us a bit about yourself and the item you are sharing with us. Well my name is Hayley, I'm 22 and live in the North East. I started Nappy Cakes and Gifts on Facebook in May after getting a great response over a nappy cake I made for my cousin. I started making custom orders and attending craft fairs and I really enjoy it! 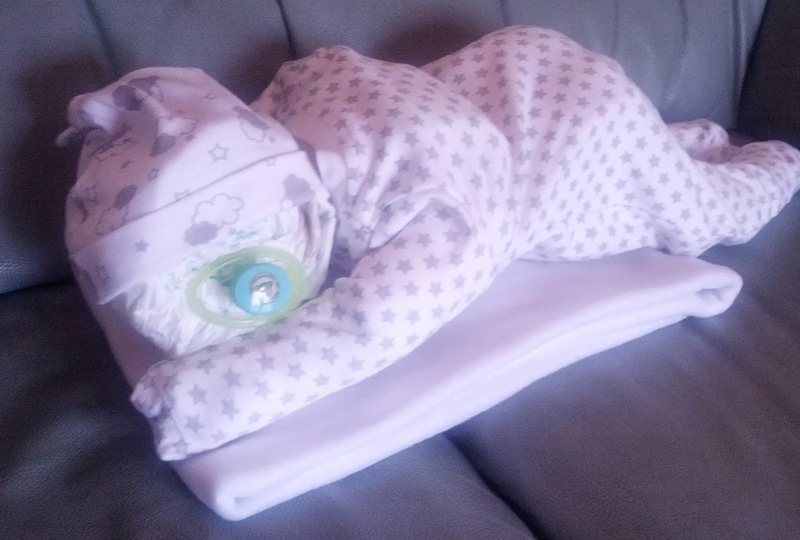 This is one of my favourite products at the moment, the sleeping baby! 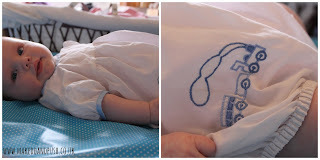 It is a baby grow and hat padded with nappies to resemble a sleeping baby. 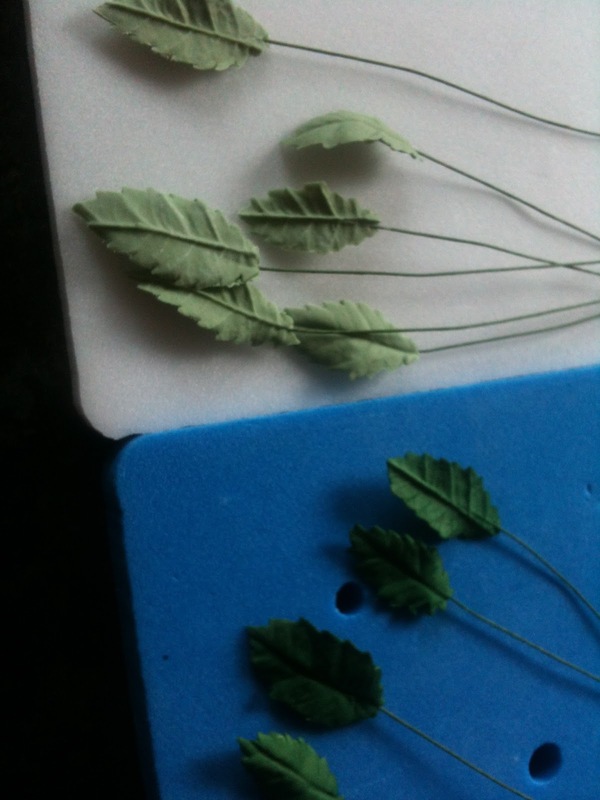 I can make them in any colour or style and they have proved very popular! 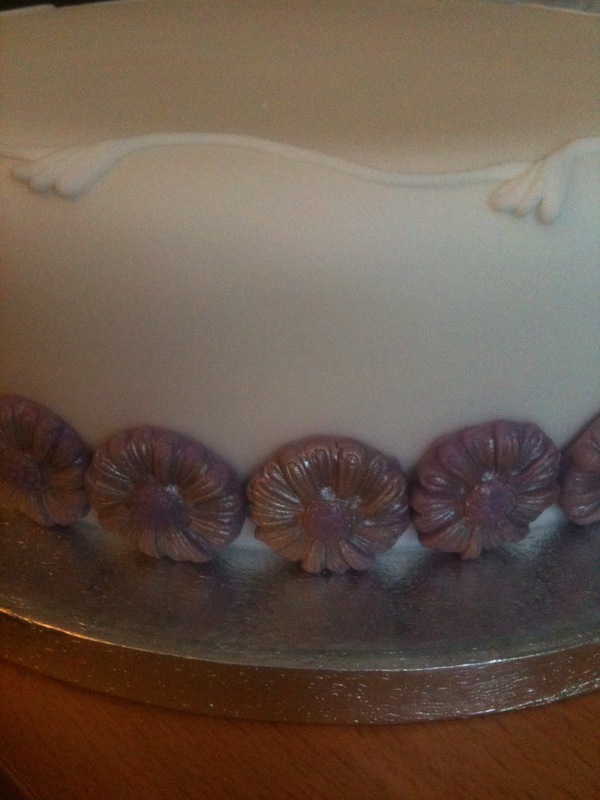 How long have you been making nappy cakes and how did you learn? 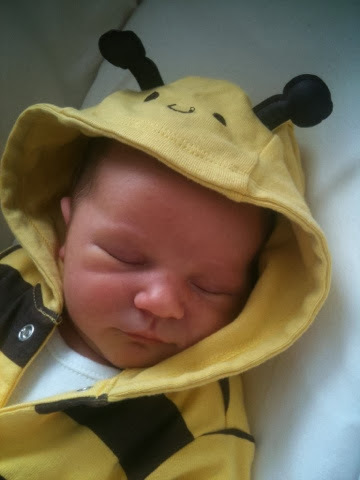 When did you start the Nappy Cakes and Gifts blog and why? 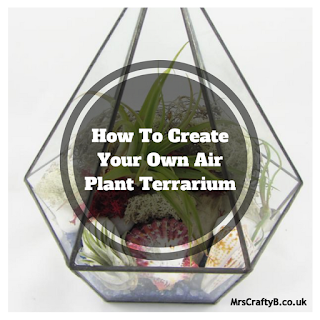 I started blogging in August as I wanted another way to reach potential customers and connect with other crafty people. It's a great place to record new ideas and talk about my plans for the future. Its also good to know that I don't have to rely on just Facebook, especially as it can be temperamental at times! 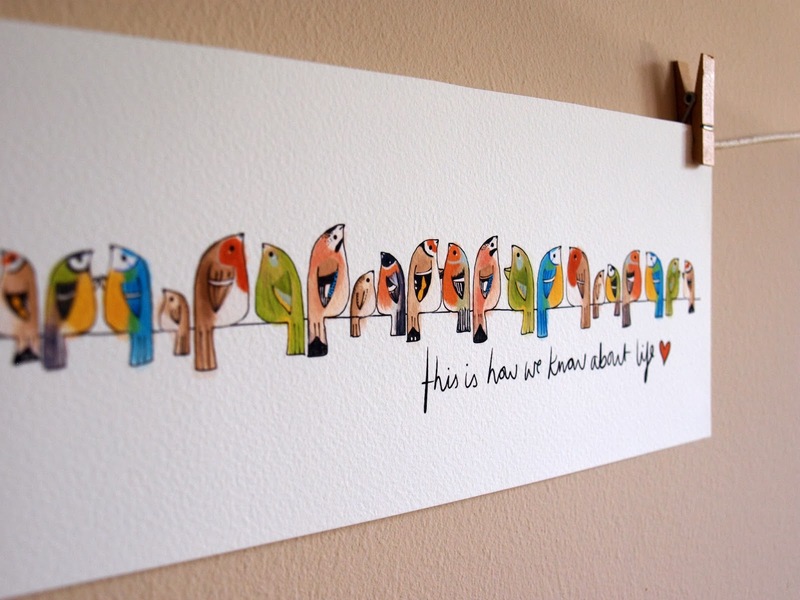 The fantastic comments and feedback that I get from family, friends and customers! I also get a lot of inspiration from craft fairs when I talk to other crafters. Finally, some quick fire questions. Sunday- Lie in, Sunday dinner and lazy afternoon watching TV. What more could you want? Thanks for sharing this with us Hayley. I'm sure this will give a little inspiration to some readers out there and prompt others to head over and see some of your other creations. 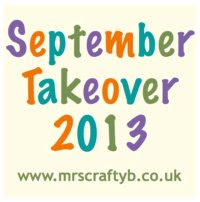 I can't quite figure out how it has taken so long to get us some crafty bunting on Meet the Maker but here it is! Let's meet the lovely Katie. Meet the Maker is back! First up, Leanne, who is looking to bring a little light into your life with beautiful and unique handmade candles. As ever, two very important questions. Can you tell us a bit about the item that you are sharing with us? 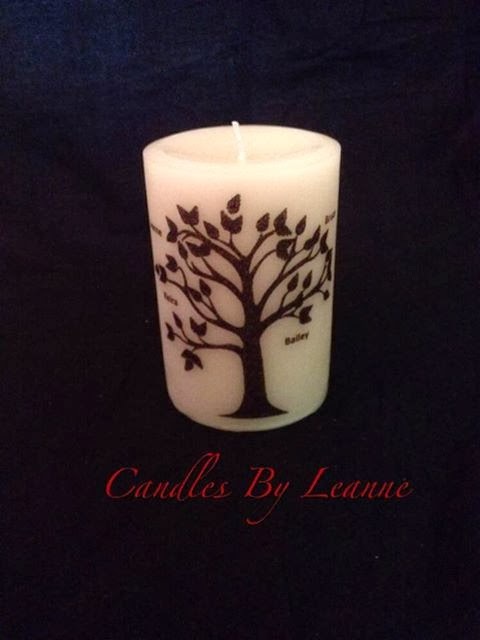 I have made a personalised family tree candle. The candle can be made in various colours and scents and is a perfect gift for any occasion. How long have you been candle making and how did you learn? I started over a year ago as a hobby to take my mind off things due to my baby being born with a heart condition and needing open heart surgery. I taught myself with kits and books. And when did you start Candles By Leanne? 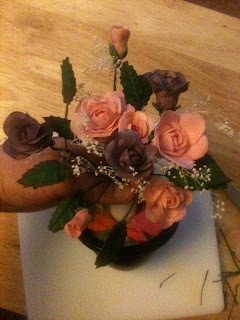 Candles By Leanne was started in September 2012 after I showed my creations to family and friends and my hobby quickly grew into a business. Any future plans for Candle by Leanne? I am looking at opening a shop in my local town in 2014. Thanks Leanne! It was great to get to know a bit more about the maker of this lovely candle. This would make lovely Christmas gifts, wouldn't you agree folks? I bet you all thought this post would be all about Crafty B's as my new venture right? Well you wouldn't be wrong in thinking it was a little about it but its mainly about that big first step. Business cards. Remember back when I started Crafting a Daydream, I told you about a denim bag I made out of one of my mums old skirts when I was younger? Well here's Sam to tell you about a much better version made by her daughter this summer. 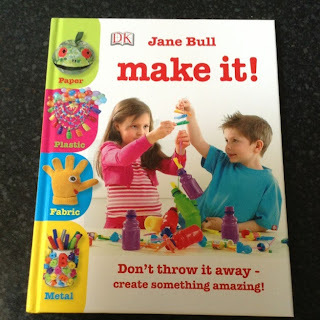 Over to the lovely Laura for some good ol' fashioned messy play. LOVE it. Being almost 1, an age where he’s starting to get into everything, my Little T needs things to take his mind off the fact that there are objects such as DVD players and Sky+ boxes in the house to ‘play’ with. One day last week whilst it was throwing down with rain last week (which sadly meant no trip to the park), I decided to pass an hour or so by making some cloud dough. 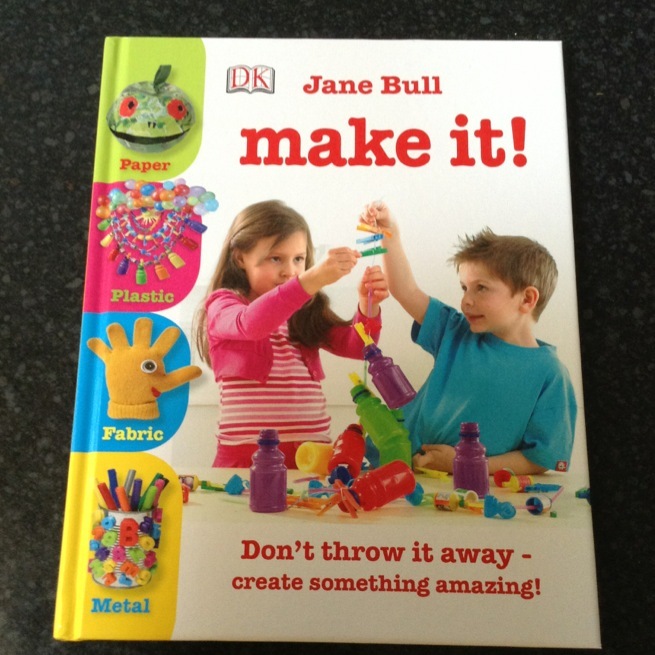 A busy summer has not stopped Rhia and her boy getting crafty! Hello lovely readers, as you are by now aware there has been a takeover here and we’re all talking summer. Thanks so much to the lovely Mrs Crafty B for having me once again. With eight wedding invites over the last two years I am SO feeling this. Jo's tale of wedding adventures will have a lot of us nodding in empathy! Here's Kelly with a tutorial for older children and adults alike. I am totally doing this. Do you remember covering your schoolbooks in wrapping paper or other decorative paper and protecting them with sticky backed plastic? Me too! Every work book for every subject had a different cover and I vividly remember that my French text book was covered in cartoon cows - not sure why but obviously at the time I thought it was cool! Inspired by this schoolbook nostalgia, I have a simple but fun craft idea for you to create a special notebook, scrapbook or photo album that you can make with your children and that will look really special. Perhaps you can make a nice notebook for their new term at school or you could make a lovely photo album to collect all your photos of summer sun and fun. I can guarantee your friends and family will want one too and it's a great project to try at home. Sam mentions her local Scrapstore in this post. Find yours. It really is, as she says, amazing. As a relatively new mum (I have the 3 year old Fred) and a summer stretching before us with downscaled nursery hours I knew I had to have a plan. Obviously we would be doing all the usual park/farm/beach visits, but that still leaves hours for doing things in an attempt to avoid having to pretend to be a dinosaur. So we have spent this summer exploring all things crafty. We have made button bowls (brilliant), leaf prints, much cutting up of old cards - gluing and sticking, pirate ships from old boxes and a complete robot outfit (that really stretched my skills). We also discovered out local Scrapstore (amazing). But by far Fred’s favourite activity has involved pine cones. Step 3 – try to prevent small child from throwing them at the dogs, before attaching ribbons and storing for Christmas tree decorations. First up on the September Takeover, we have Hannah. A post that is beautiful in so many ways. 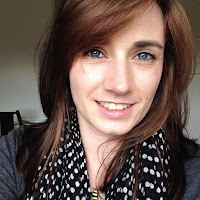 Thank you Annie for inviting me to write a guest post today! It's been ages since I've written a guest post as have been ridiculously busy, but it's nice to be writing in a different corner of the internet for an hour or so. I hope you're enjoying your new bundle of love, or, if he hasn't arrived yet, you're not too frustrated... or if you're in labour, you're not in too much pain! So hi! For those of you who don't know me I'm Hannah and I blog over at Make, Do and Push! I've decided to write about my daughter Busby today. She's a funny little monkey whom I love very much. I could write for hours and hours about her, and I do on my own blog, but today I've chosen the topic of her summer wardrobe, as she is far more stylish than me! I wanted to share some photos from this summer, and talk you through her outfits (and hats). I actually took this photo back in March, and don't have a more recent one of her in it as she sadly grew out of it by the time the sun finally appeared, but I thought you'd enjoy a 3 month old baby photo anyway. This is a little vintage outfit that I used to wear - I love the embroidered train!